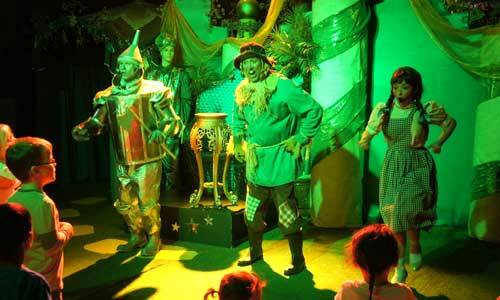 DON’T MISS THIS YELLOW BRICK ROAD PAVED WITH LOTS OF MUSIC, ACTION & LAUGHS. 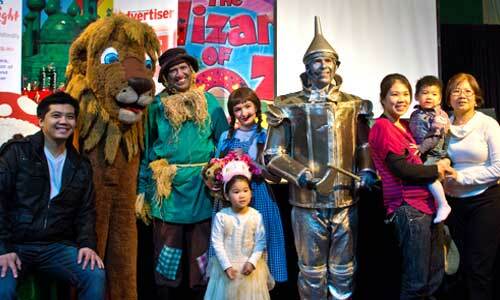 The only show of its kind in Australia – performed at The Wizard of Oz Funland, Leumeah! 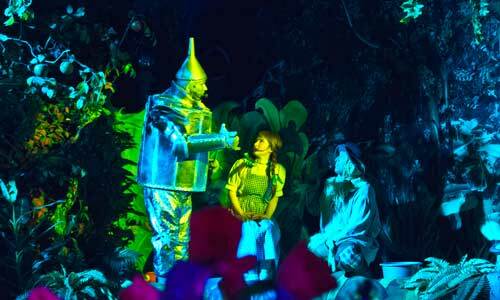 Join Dorothy, Scarecrow, Tinman & Lion as they go off to see the Wizard in a fun packed, highly interactive show featuring singing, dancing and lots of wacky characters. Actually travel through Munchkinland, Cornfield, Forest & Emerald City and meet Glinda the Good Witch, Wicked Witch, Munchkins, Funny Bunny, even the Mighty Wizard himself, in this hour-long, new re-telling of Frank Baum’s classic story, conceived by Brian Laul. 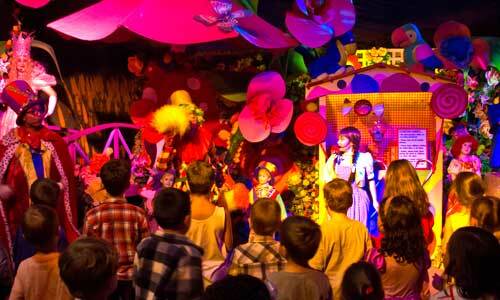 The Wizard of Oz Adventure Show is a magical, colourful experience. It is about more than giving people a good time. It spreads a message of hope and self-esteem to the young. Come dressed as your favourite Oz character. Lots of great photo opportunities after the show. 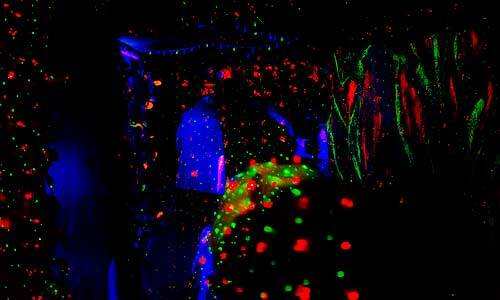 Note: This show can be specially requested in advance by groups planning a Funland visit.